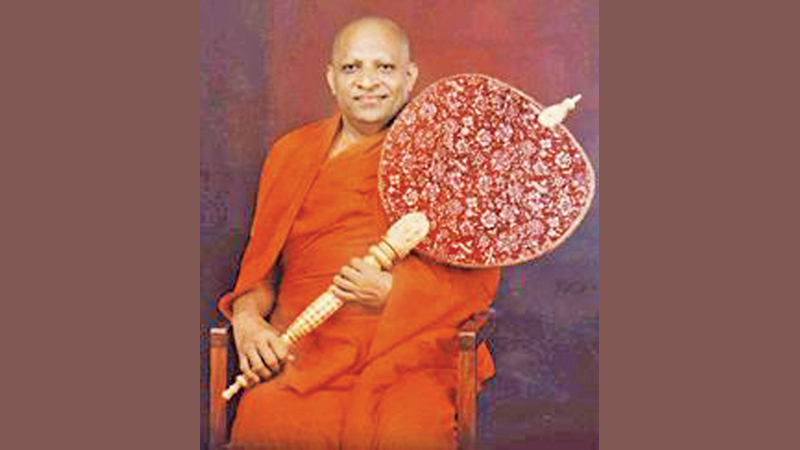 The Mahanayake of the Malwatte Chapter Most Ven Thibbotuwawe Sri Siddartha Sumangala Thera yesterday said that the Constitutional making process has been continuing for the past three years and claims from some quarters that this process is being hurried, is unsubstantiated. However, the Chief Prelate noted that it would be better to proceed on the new Constitution after the end of all pending elections, adding that time is not sufficient to introduce a new Constitution at this juncture. The Malwatte Mahanayake Thera made the above observations when a group of UNP MPs led by Public Enterprise, Kandyan Heritage and Kandy Development Minister and Leader of the House Lakshman Kiriella met him yesterday to present the report of the Panel of Experts. “Nobody wants to divide the country by introducing a new Constitution,” the Malwatte Mahanayake Thera said. The Mahanayake Thera pointed out that both good and bad proposals have come out during the deliberations to promulgate a new Constitution. The Chief Prelate added that even Opposition MPs including MP Dinesh Gunawardena were part of the discussions. The Mahanayake Thera pointed out that priority must be given to solving the economic problems of the people as many elections are in the pipeline. The report was also presented to Asgiriya Chapter Chief Prelate Most Ven. Warakagoda Sri Gnanarathana Thera. Minister Kiriella explained that no draft Constitutional Bill has been prepared yet, adding that only a report of experts encompassing the views of political parties, MPs, Chief Ministers, Civil Society Groups, and representatives of Human Rights Organizations has been presented. The minister stressed that a Constitutional Bill would be drafted only with the consent of all stakeholders, reminding that the support of Opposition MPs is necessary to pass the bill with two thirds majority. The minister said that the UNP would never present a Constitution which contains harmful proposals to the country, adding that the unitary status and the foremost place for Buddhism would always be protected. He pointed out that Opposition Leader Mahinda Rajapaksa and his group deliberately misled the people by uttering falsehood on the new Constitution.Minister Ranjith Maddumabandara, Daya Gamage and Lucky Jayewardena and MPs Palitha Range Bandara and Mayantha Dissanayake also participated.